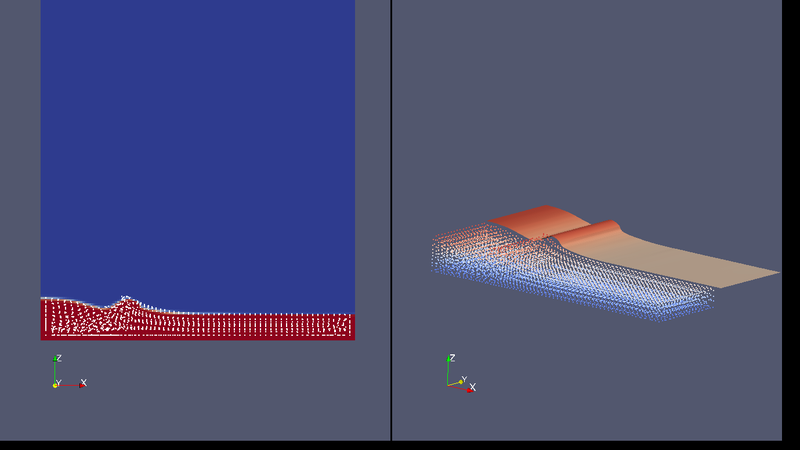 Based on the work of Andreas Aigner (DCS Computing), LIGGGHTS® features a smoothed particle hydrodynamics (SPH) approach. Smoothed particle hydrodynamic is method for calculating fluid flow in a meshfree way. It can be used for example for the calculation of dam brakage or other free surface flows as well as for wall-dominated flows. Below a comparison of SPH in LIGGGHTS® vs. a Volume of Fluid (VOF) Method in OpenFOAM® is shown for a sloshing tank test case.